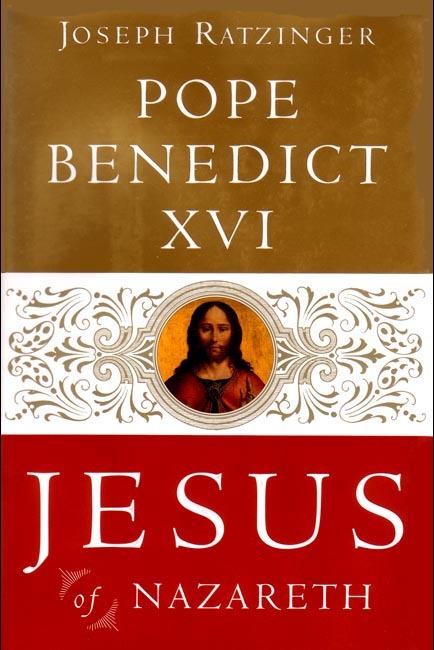 In this bold, momentous work, the Pope—in his first book written as Benedict XVI—seeks to salvage the person of Jesus from recent “popular” depictions and to restore Jesus’ true identity as discovered in the Gospels. Through his brilliance as a theologian and his personal conviction as a believer, the Pope shares a rich, compelling, flesh-and-blood portrait of Jesus and invites us to encounter, face-to-face, the central figure of the Christian faith. From Jesus of Nazareth… “the great question that will be with us throughout this entire book: But what has Jesus really brought, then, if he has not brought world peace, universal prosperity, and a better world? What has he brought? The answer is very simple: God. He has brought God! He has brought the God who once gradually unveiled his countenance first to Abraham, then to Moses and the prophets, and then in the wisdom literature—the God who showed his face only in Israel, even though he was also honored among the pagans in various shadowy guises. It is this God, the God of Abraham, of Isaac, and of Jacob, the true God, whom he has brought to the peoples of the earth. He has brought God, and now we know his face, now we can call upon him. Now we know the path that we human beings have to take in this world. Jesus has brought God and with God the truth about where we are going and where we come from: faith, hope, and love.” 374 pp.